The Yachtzoo brokers continue to add to their portfolio of yachts for sale as today I learn of a new listing, the 26.5m motor yacht Zakouska. A Warren S87 Express, she was built in 2006 and has only 200 hours on her rebuilt main engines. Accommodation is for eight guests in a master suite, VIP stateroom and one double and a twin cabin, while twin 1300hp MAN engines give her a cruising speed of 27 knots and maximum speed of 32 knots. 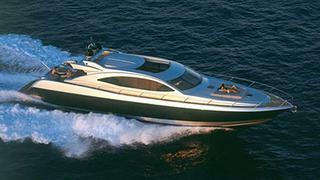 Currently lying in New York, Zakouska is asking $4.95 million.